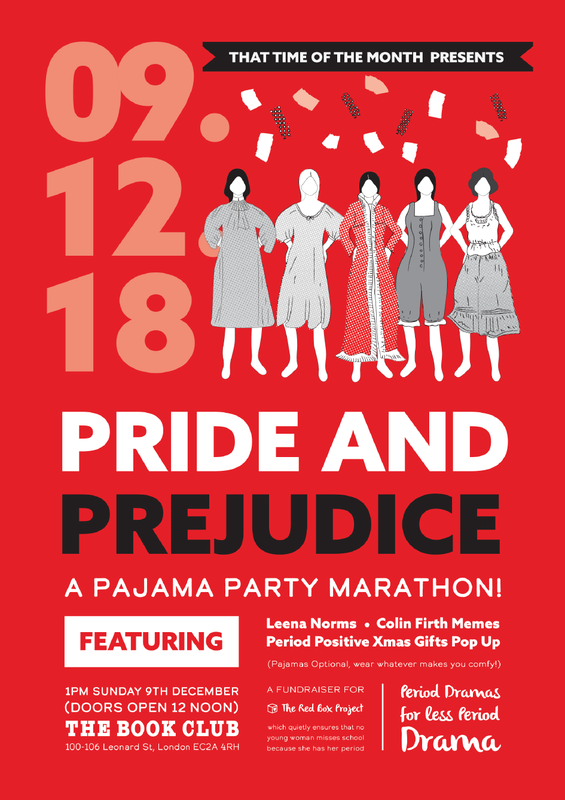 Pride and Prejudice: A Pajama Party Marathon! On Sunday 9th December, to celebrate Christmas and all things Colin Firth, we are holding a very special event at The Book Club… a pajama party marathon of the BBC series! Hosted by the fabulous Leena Norms. With ample breaks for Austen-themed cocktails and mocktails, scrummy food and period-positive Christmas gift inspiration. All profits to The Red Box Project! Tickets will go on sale Sunday 18th November, 10am. When they’re gone, they’re gone!